Maui’s second utility-scale solar project, Ku’ia Solar in West Maui, went online Thursday and began supplying power to Maui Electric Co., the utility announced Friday. The project, owned and operated by Kenyon Energy, can supply up to 2.87 megawatts of solar power to the grid with MECO paying 11.06 cents per kilowatt hour. The price is lower than the 17 cents a kWh the utility paid for fossil fuel production in June, a MECO filing with the PUC said. MECO noted that it does not mark up or take a profit from this solar power, passing the savings on to Maui customers. The 10.85-acre project is located on Kamehameha Schools’ land Olowalu-side of Lahainaluna High. The massive 1,500 acre brush fire in late August whipped up by winds from passing Hurricane Lane that damaged and destroyed nearly two dozen homes did not impact the solar array. After the fire, there were extensive inspections to make sure the facility was not damaged, he said. Ku’ia Solar’s sister project, South Maui Renewable Resources near the Maui Research & Technology Park, was the first utility-scale solar project to feed MECO’s grid in May. A Ku’ia Solar official said in April that heavy rain and mud hampered access to the site and set the West Maui project behind its South Maui counterpart. In fact, the project, initially expected to go online Dec. 31, 2016, received three extensions. Kenyon is the project development arm of Sun Financial, which will be adding Ku’ia Solar to its more than 200 solar projects across the U.S., a MECO news release said. Financing for both projects was provided by Key Equipment Finance through its Energy Solutions team. Key Equipment is an affiliate of KeyCorp, which provides equipment lease and finance solutions for commercial clients and government entities, the utility said. Bay4 Energy, one of the nation’s largest independent renewable energy service organizations, is handling operations and maintenance for both projects. M+W Energy Inc. provided the solar engineering, procurement and construction for the projects, the utility said. The West Maui project consists of 12,000 solar panels and will produce an estimated 7,000 megawatt hours of power year-round. That would be enough to power an average of 1,000 homes over a year. 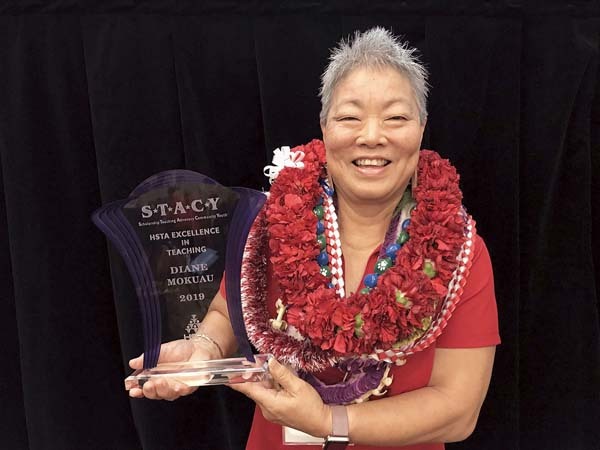 The addition of Ku’ia Solar power increased MECO’s renewable energy portfolio to 34 percent, which is ahead of the state’s target of 30 percent renewable energy by 2020, the utility said. 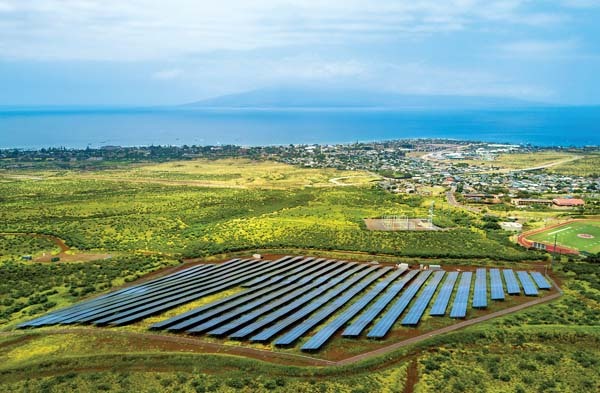 On some days, a significant portion of the electricity used on Maui comes from large grid-scale and privately-owned renewables, such as wind, hydro, biofuels, and nearly 12,000 rooftop solar systems. In June 2017, MECO reached a peak of 77 percent of its power coming from renewable energy resources, the utility said.